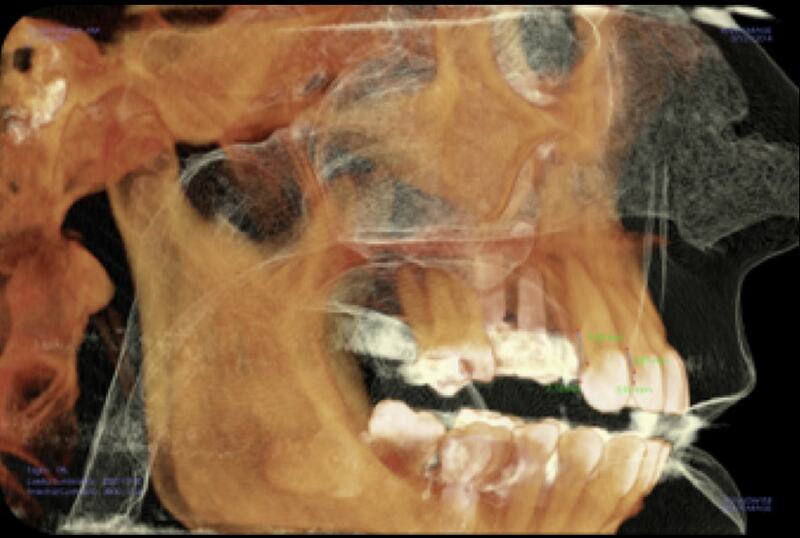 A 55-year-old woman with no significant medical or dental history presented with missing maxillary premolars due to endodontic failures, class IV recession on the adjacent tooth, pneumatized sinus and a bucco-lingual collapse of the ridge. 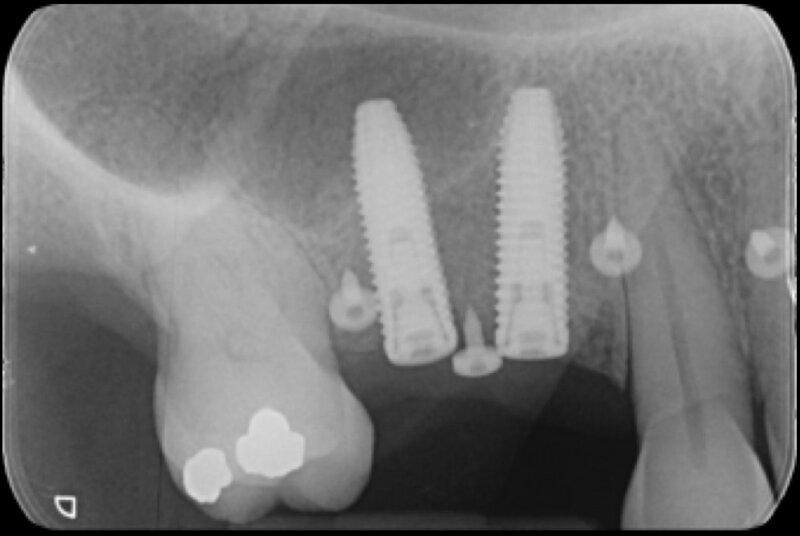 The patient was treated with simultaneous sinus elevation, implant placement, guided bone regeneration, and soft tissue grafting. 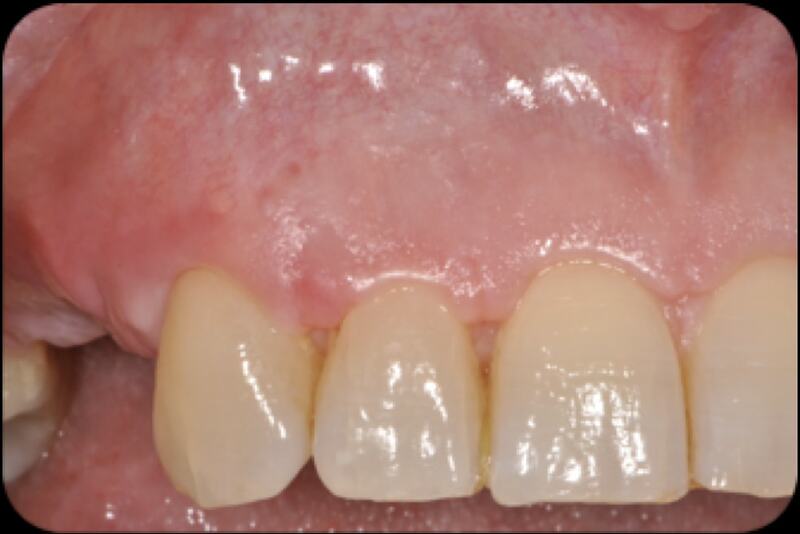 Full screw-retained zirconia restorations were used in this case. 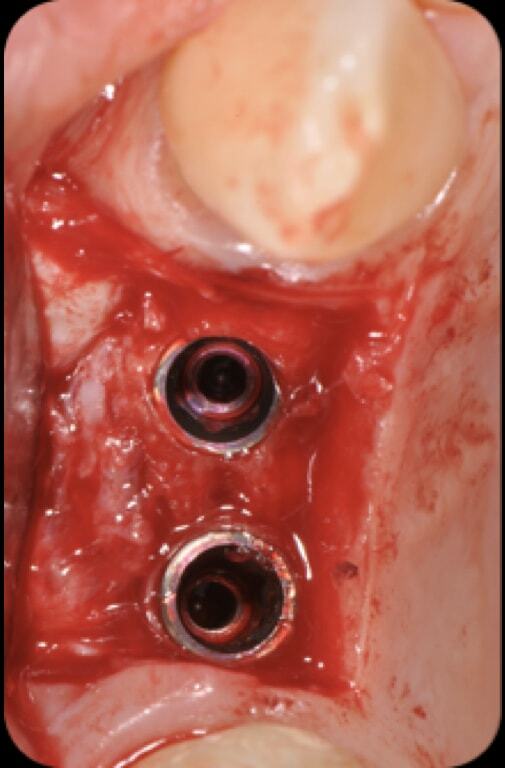 Initial clinical situation: Pre-op buccal view is showing a high frenum attachment, absence of keratinized tissue on #13 FDI (#6 US), recession and abrasion on #15 FDI (#4 US), bucco-lingual collapse of the ridge. Initial clinical situation. 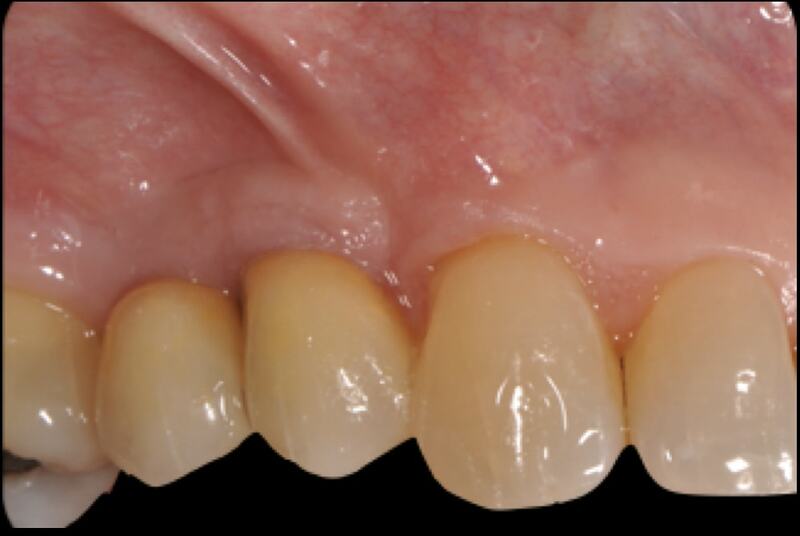 The horizontal deficiency is clearly visible from the occlusal view. Occlusal view of #13 FDI (#6 US), alveolar ridge deficiency on #14 and #15 FDI (#5 and #4 US); showing the bucco-lingual colapse of the ridge. 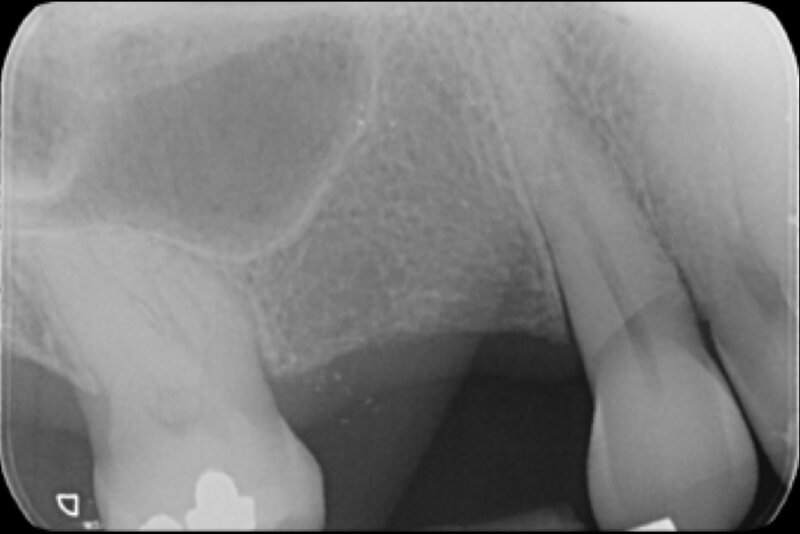 The peri-apical radiograph is showing a pneumatized sinus, mesial positioning of tooth #16 FDI (#3 US) and a deep notch on the buccal of #13 FDI (#6 US). 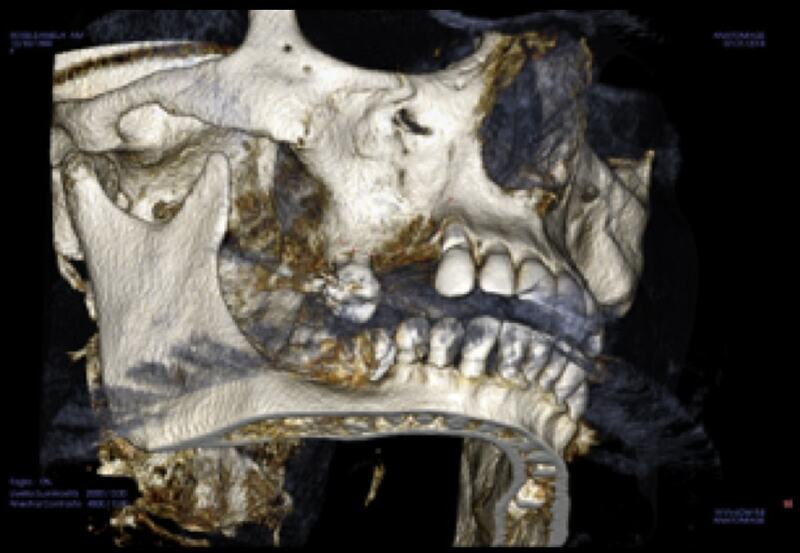 The 3-D NobelClinician reconstruction is showing a bucco-lingual collapse of the ridge with increasing chances to have exposed threads on the buccal. The amount of bone volume needed for sinus elevation is also calculated. 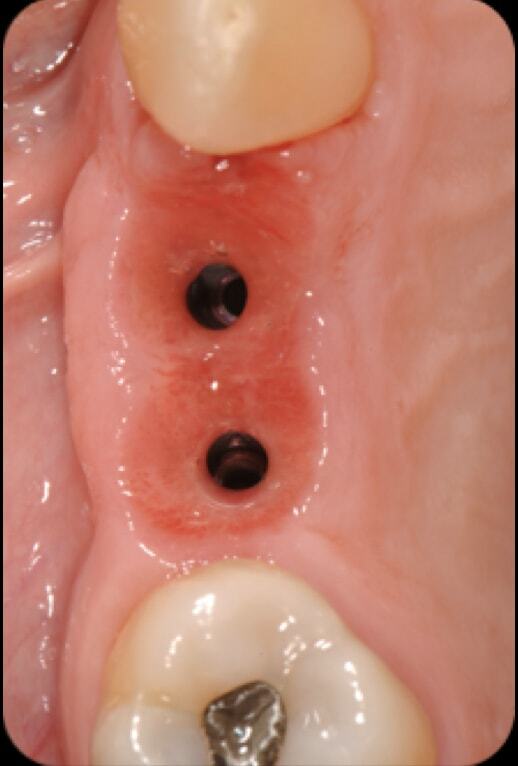 Threads might be exposed on the buccal due to a bucco-lingual collapse of the ridge. Tri-dimensional (3D) reconstruction used to perform soft and hard tissue mapping. The distance between the bony crest and the CEJ is measured. 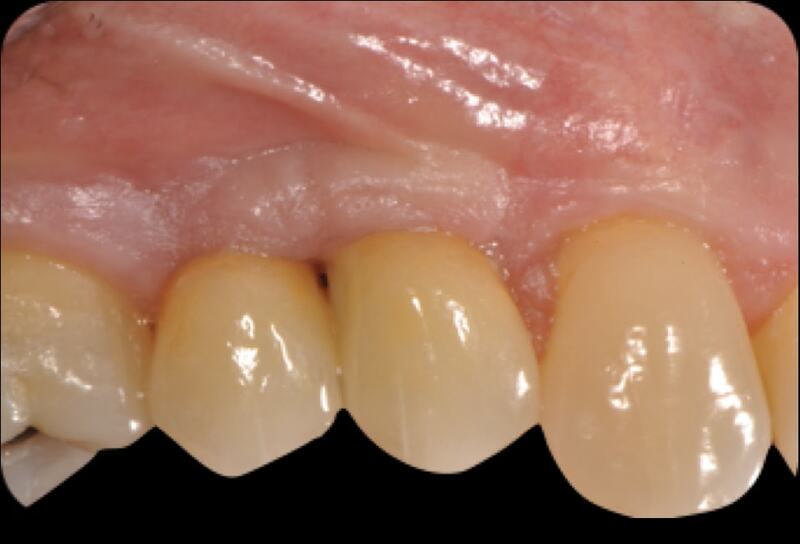 Based on the biologic width of the adjacent tooth the potential for tissue regeneration can be calculated. 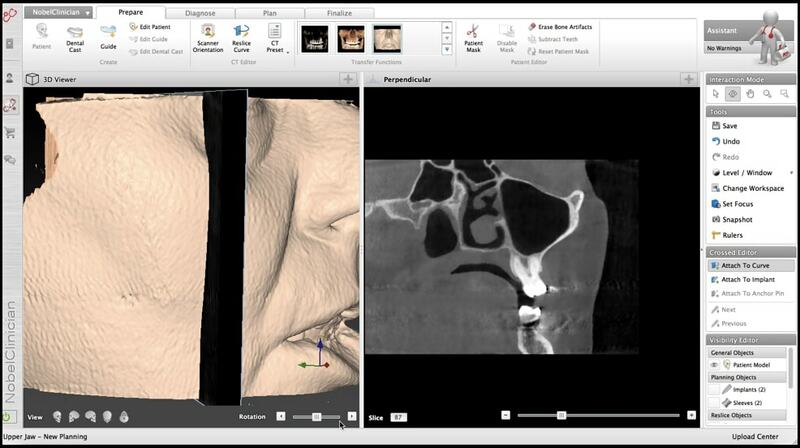 The depth of the buccal concavity can be measured and accordingly the volume needed for horizontal guided bone regeneration calculated. 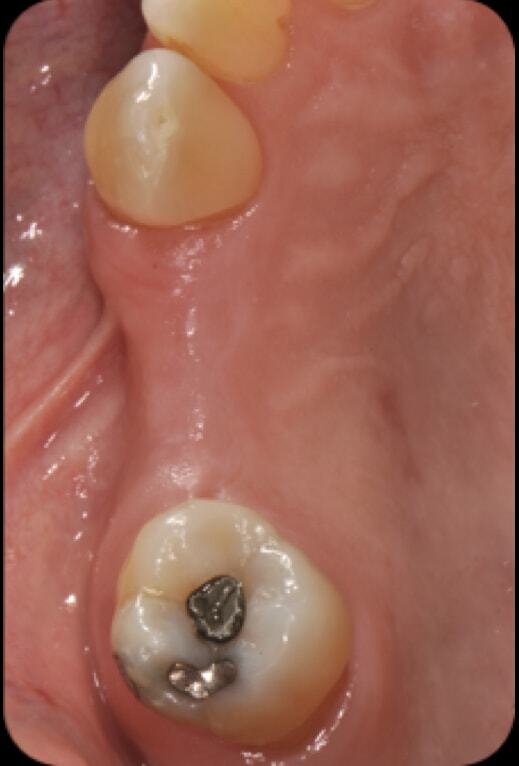 The depth of the buccal concavity is clearly visible. 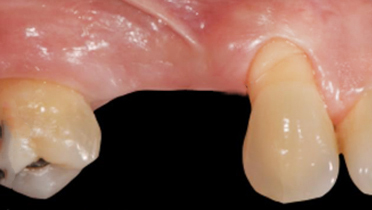 The split crest technique is not considered since it would lead to buccal bone loss by reducing the buccal bone matrix. 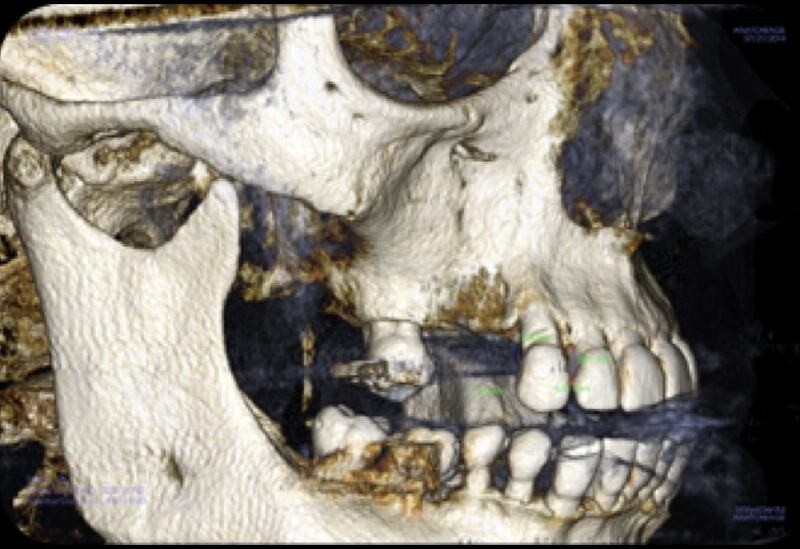 The sagittal cut shows a loss of the buccal plate of more than 7mm. Biologically speaking there are no chances for 100% root coverage. Post-op periapical radiograph with 2 Nobel Parallel Conical Connection (CC) Narrow Platform (NP), 11.5 mm in length. 1 week post op: the recession as well as the abrasion is completely covered by the soft tissue. 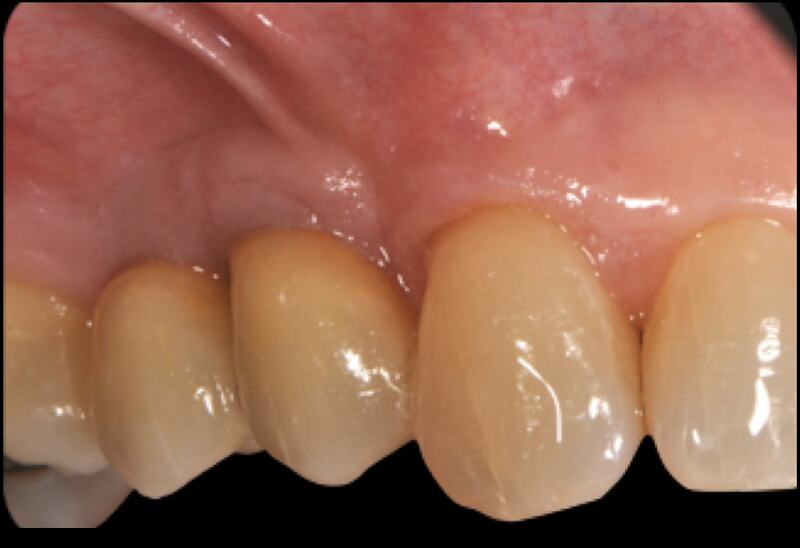 After 6 months, a transpositional flap is performed to increase the thickness of the peri-implant mucosa as well as the keratinized tissue with a minimally invasive approach. 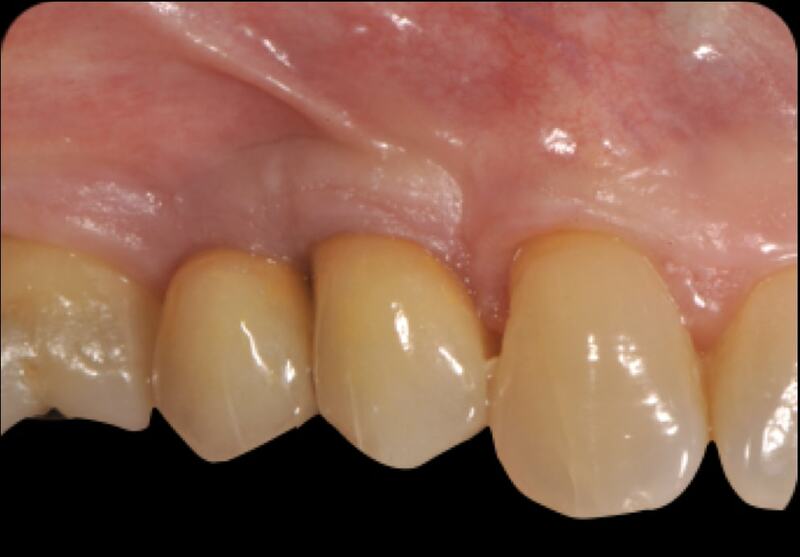 By increasing the thickness of the soft tissue and applying pressure with the provisional, the optical illusion of the pseudopapilla will be created. Two Nobel Parallel CC NP by 11.5 have been previously placed. Intra-oral view of complete soft-tissue reconstruction. After transpositional flap and soft tissue sculpturing, the natural convexity of the soft tissue is completely reconstructed. Final full ceramic restoration. Delivery of the final zirconia full ceramic restorations. 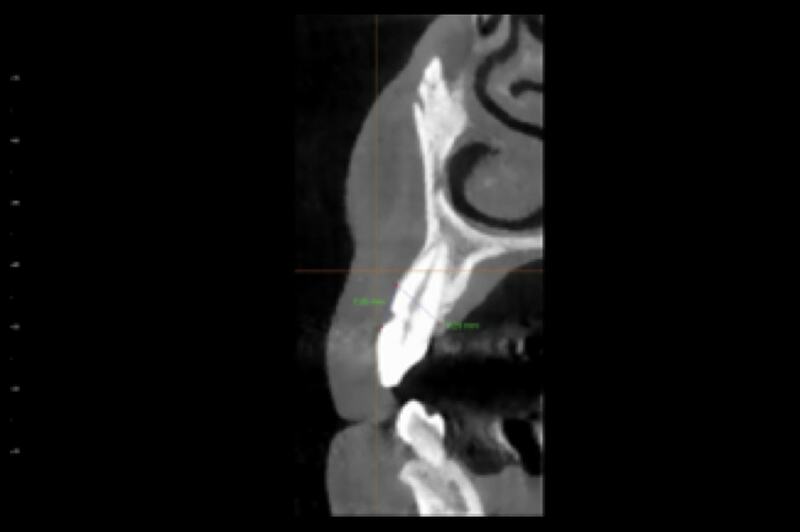 The soft tissue migrated apically as expected from the coronal margin of the abrasion. Final outcome after 1 month. Six months post delivery of the final restorations. The soft tissue on #13 FDI (#6 US) is migrating coronally as a natural effect of the creeping attachment. Final outcome - 1 year post final restoration. Any final x ray with crowns ?